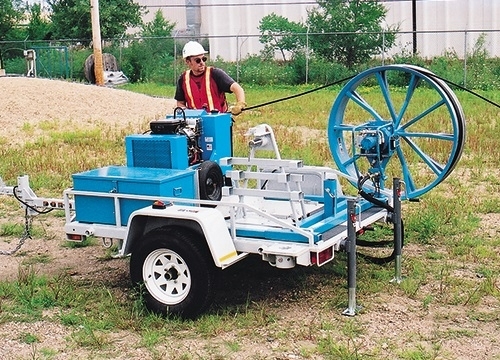 Access job sites with ease using the Condux Open Style Fiber Optic Cable Pulling Trailer. The open style provides portability, accessibility, and cost effectiveness. Gain easy access to all components with the open face design, and stow small items in a lockable storage compartment. Leveling and stabilizing hardware included. The Open Face Fiber Optic Cable Pulling Trailer comes standard with a detachable cable puller remote mounting and built-in cable puller mounts on the rear corners. 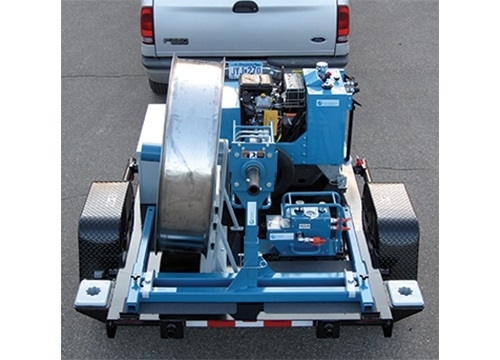 Options include a choice of three Condux Fiber Optic Cable Pulling Trailer packages, and a choice of three capstans and a 16 HP (11.9 kW) Power Pack. The trailer bed accommodates standard and optional equipment with built-in mounting systems for secure travel.